Love watches? You're going to love this. Get a new watch every month, at a fraction of the cost of retail. Thanks to Watch Gang for teaming up and sending us these watches. Click here to join and save 10% with code Primermag! The first watch I fell in love with was a $30 Timex Ironman digital sport watch my parents got me at the mall when I was in grade school. It did it all: kept two different timezones, had a chronograph function for timing hot laps around the neighborhood on my bike, and I could dunk it underwater and watch it tick away the seconds. Honestly, I didn’t think I could love a watch more. Until I grew up and discovered the remarkably broad and deep world of well-designed, quality watches. Watches are the perfect marriage of function, art, and personal statement – and if you’ve thus far neglected the timepiece as a part of your wardrobe, it’s time to correct that. But I'm guessing that if you read Primer, you likely already have an appreciation for them, whether your budget is high or low. 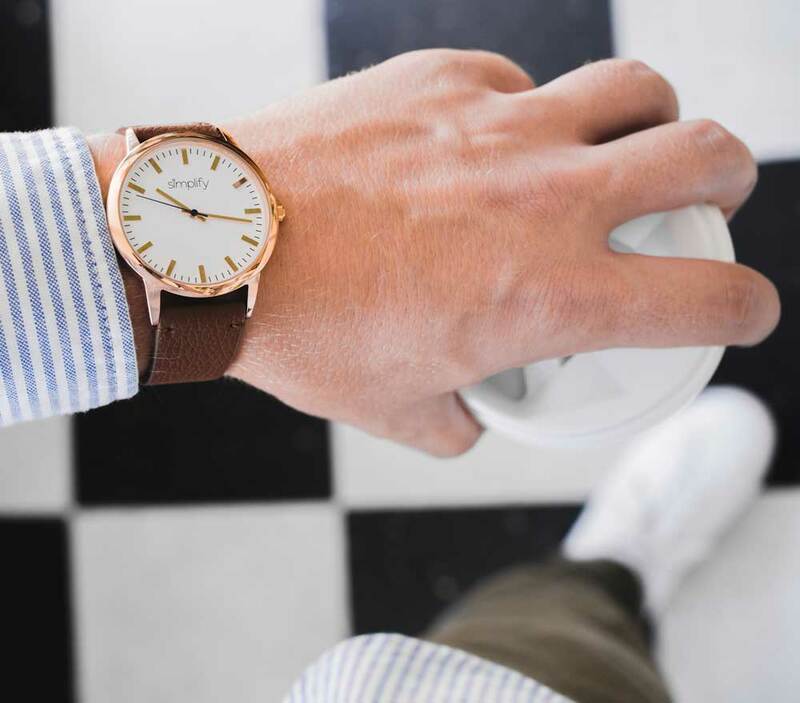 The choice of wristwatch is one of the few ways modern men really get to sartorially express themselves, and for a lot of men a watch is something incredibly personal. I think a big source of watch-avoidance for many guys is the perception that a watch is a grave, high-dollar decision you have to get just right. 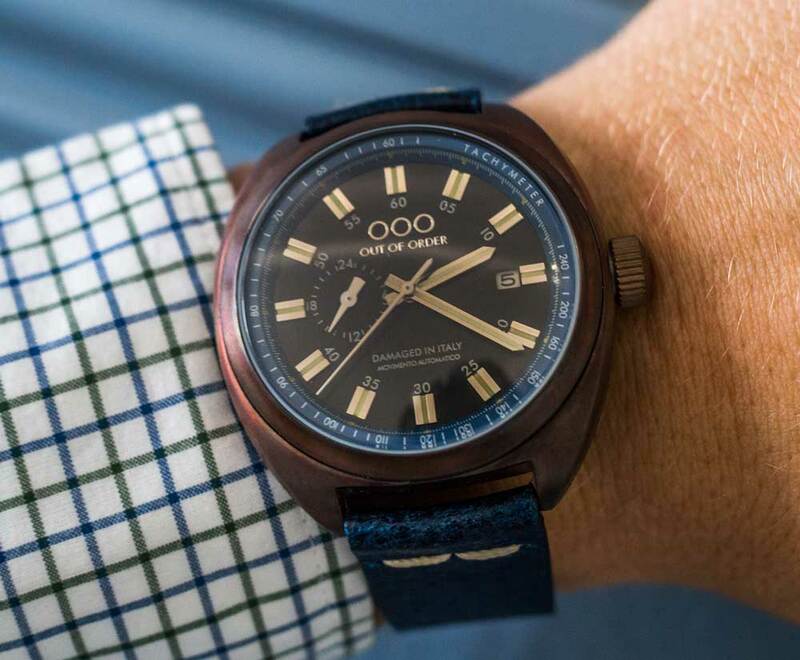 While it’s true that in some cases your watch may be something that you buy once, keep for 30 years, and pass down to your kids, that’s also akin to buying one $2,000 suit you keep for a few decades – it may not be your lifestyle. Nowadays, technology and direct-to-customer sales are revolutionizing how watches are made, sold, and worn by men the world over. Don’t you think it’s time to explore your options and broaden your horizons? This is where a service like Watch Gang comes in handy. Watch Gang is a watch subscription service that will send you a new timepiece every month for you to keep and add to your collection. It’s based around three different price points that allow you to customize your options depending on your tastes. If you’re like me and are more of a sports watch kind of guy you can rank tool watches higher. If you prefer a dressier style you can rank dress watches higher. You also rank your preferences in order for leather, metal, or NATO strap, as well as face size. Whatever your taste in watches, Watch Gang solves the age-old problem of matching the style and purpose of your watch to a given occasion. If you've followed our Getups over the years, you know how drastically one watch can alter the dress and overall feel of an outfit over a different watch. 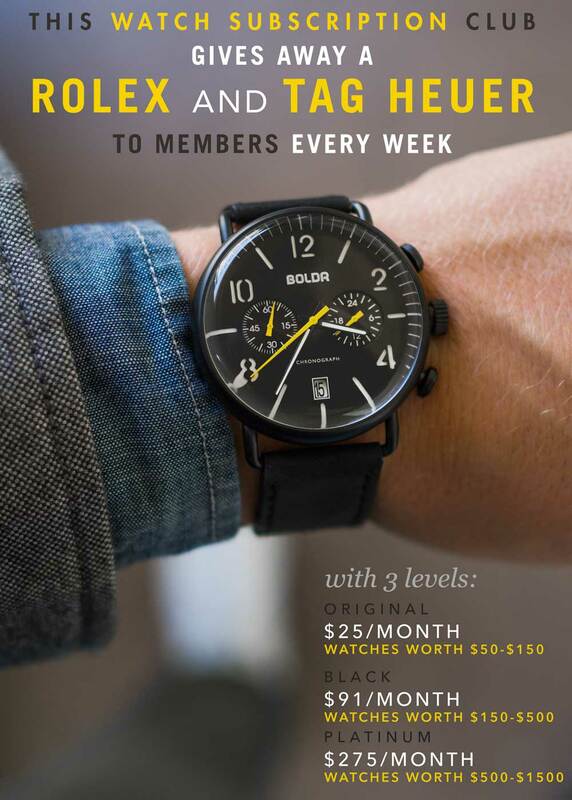 The Original Tier is $25 a month and includes watches that are worth $50 to $150. The Black Tier is $91 a month and they’ll send you watches worth $150 -$500, and at the Platinum Tier, which is $275 per month, they’ll send watches worth $500 – $1,500. 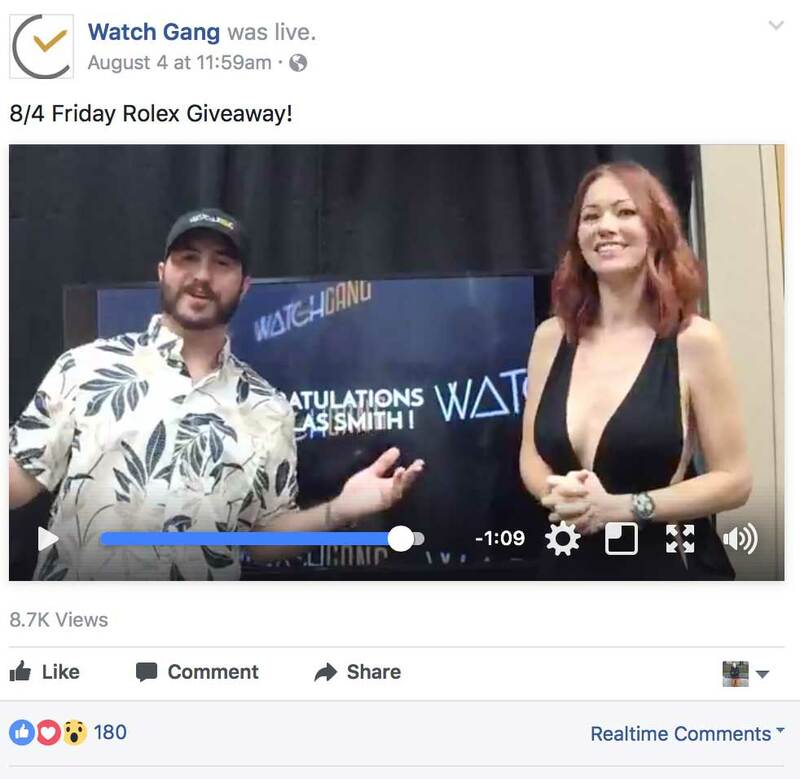 No matter what tier you’re at with Watch Gang you’re also eligible to be entered in their Rolex Friday and Tag Tuesday giveaways. What can you expect quality-wise from Watch Gang? Well, every watch from them is authentic with everything you need from the manufacturer, including factory warranties. All of the pieces Watch Gang sends you are going to have either a Japanese or Swiss Made movement which means easy service on your part even years down the road. Watch Gang sent Primer a few samples from the different levels and we are impressed. At the Original tier they sent us a Simplify 2803. 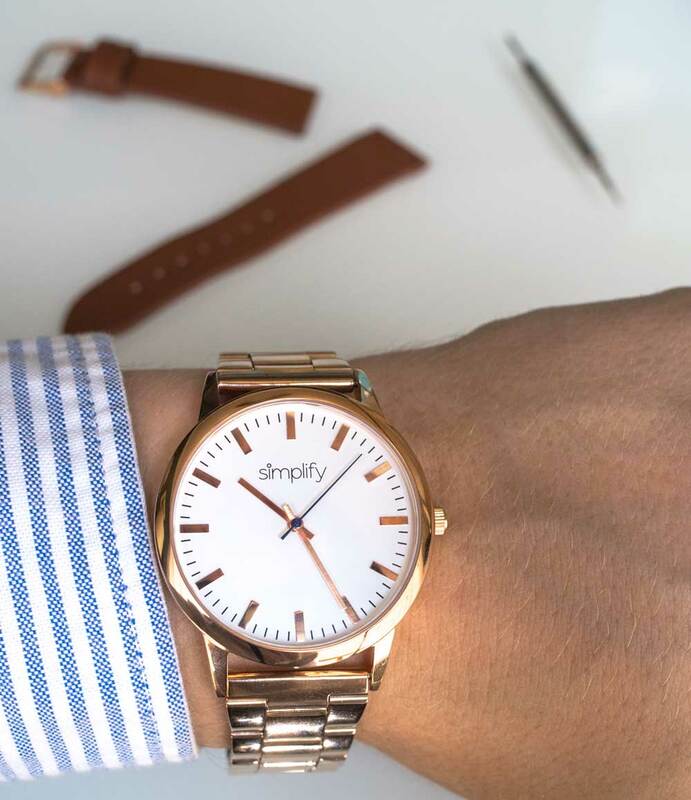 This is a minimalist dress watch that comes in rose gold with a rose gold bracelet as well as a leather strap. This is a great little dress watch that comes in at under 40mm. Over the past decade or so watches have become behemoths (even dress watches) so it’s nice to see some of the smaller manufacturers moving back to a bit more reasonable size. 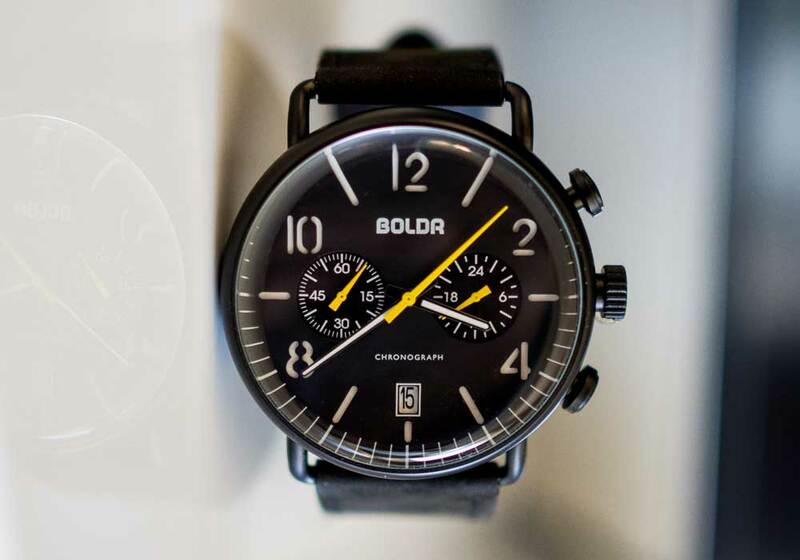 At the Black tier we were sent a Boldr Journey Chronograph Wasp. This PVD coated chronograph has a 43mm stainless steel case which houses a Seiko quartz chronograph movement. The PVD coating gives the watch a sleek tactical look that plays well against the domed crystal which, along with a more minimal sandwich dial gives it a bit of a retro edge. The chronograph movement means that whether you’re timing a street race or your laundry (more likely) it’s going to give you an exact measurement of time. At the Platinum tier we were sent a watch from Out Of Order. 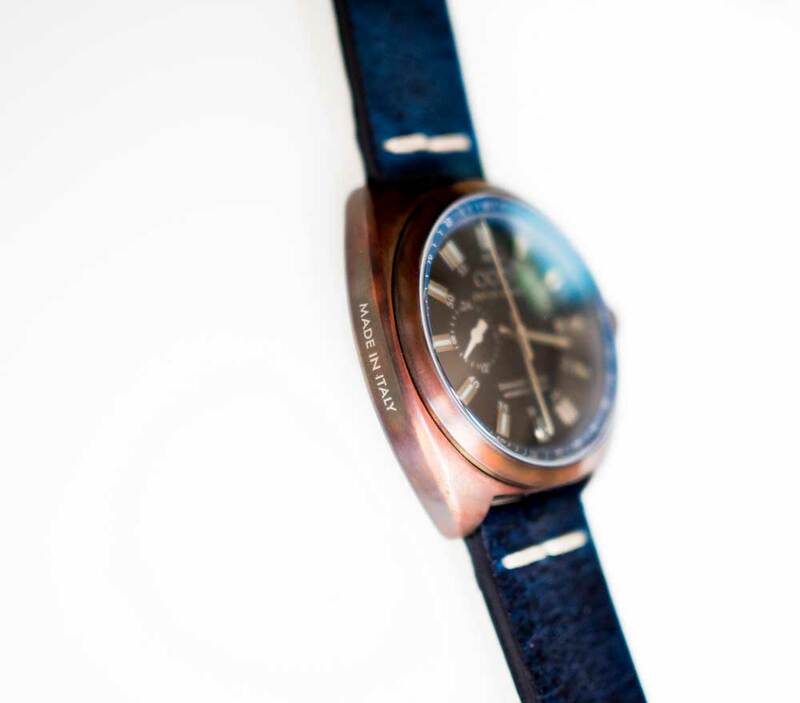 This Italian made watch is inspired by the cushion-cased racing watches of the 1970s and has an aged copper look on the stainless steel case that stands out on the blue leather strap. 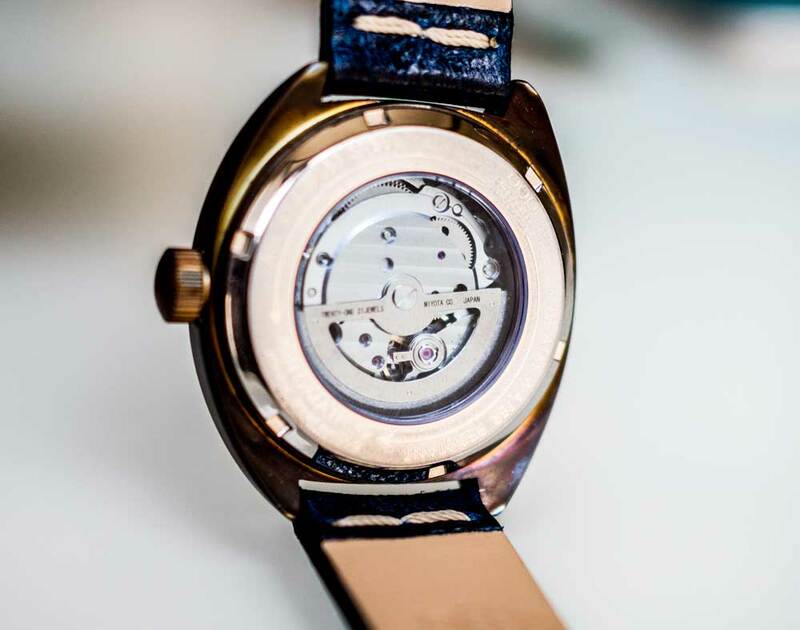 While it may look vintage this watch has a very modern Miyota 8217 movement inside and 100 meters of water resistance which means it will stand up to most of the abuse you want to throw at it if you want to give it a bit of genuine age. What happens if I get a watch I don’t like? Watch Gang also sponsors a group of members looking to trade called the Watch Gang Exchange. So even if you get a watch that you think is the ugliest damn thing you’ve ever seen that’s okay because I guarantee there is someone on the Watch Gang Exchange that think it’s the coolest thing they’ve ever seen. That type of personal attachment to watches is what makes them so unique, and such a rewarding subculture to join. Watch nerds will fight over some of the craziest things. For example, is it okay to wear a dive watch with a suit? My two cents: it depends on the dive watch. If it’s something subtle then I say go for it. After all, it’s good enough for James Bond! Watch Gang offers guys at every stage of their personal watch journey – from just starting out to fanatic – a perfect way to start a collection, fill out their existing watch stable, and experience the pleasure of getting a well-curated watch each month. Along with the sheer enjoyment of the surprise, you’ll also be giving your overall style a huge boost. 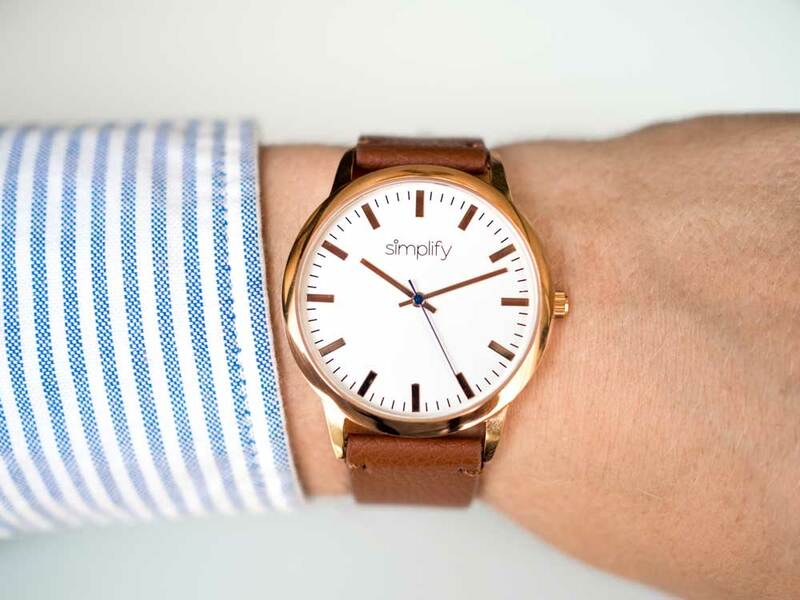 How many guys do you know always have the right watch for a given outfit or application? Now you can be that guy. Check out Watch Gang. Save 10% off any package with code ‘primermag'! I almost joined Watch Gang when they had less than 25 members. They were new and I was wary. I wish I had taken the plunge because my odds on a Rolex would have been pretty high. I would recommend going Black or Platinum with Watch Gang. I’ve been a Regular member for a while, and wish I had invested in the higher levels. Most of the lower level watches lack the look or feel of high quality watches, and it’s worth it to shell out some extra cash to get the next level. 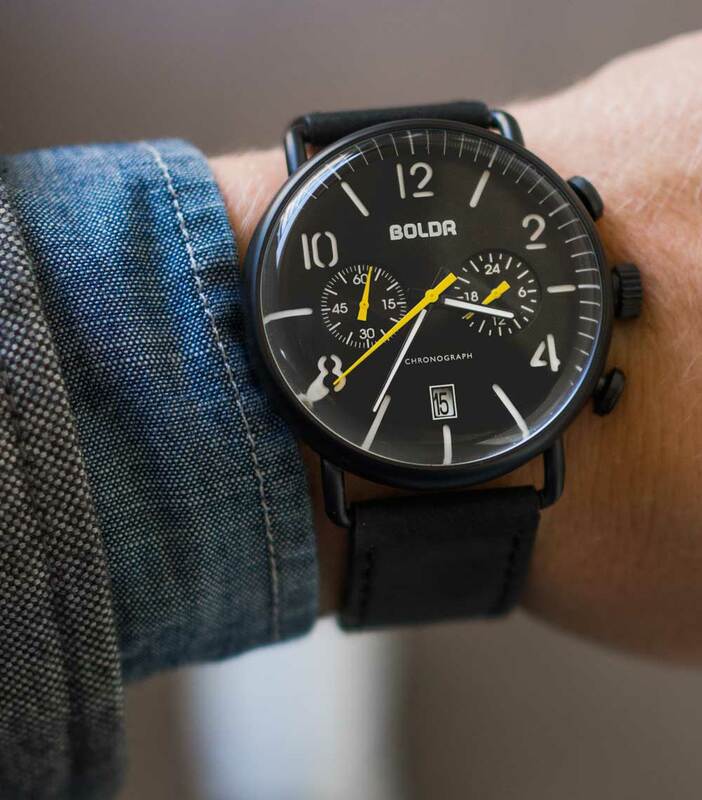 Another really great perk that they have is their flash sale site and their Members Only Marketplace, where I have gotten some of my favorite watches. The regular sub has their moments, but you’re right, they don’t have a lot of quality-looking watches usually. Man, that black Boldr! It’s like a modern update on the old Dieter Rams watches from the seventies. I may have to pick one up down the line. I signed up for Watch Gang the first month they offered the Black tier, and got a fugly-looking watch (they also didn’t have preferences then), but was able to get a Black face/silver case Boldr from someone on the Exchange! The Exchange group is awesome people, and are really quick to call out scammers or people who don’t do business right, so you can count on just about any deal going through.